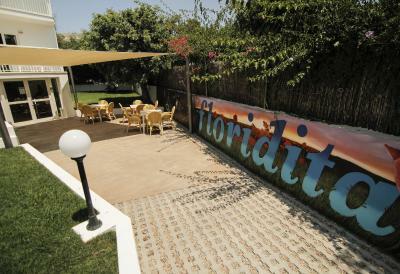 Lock in a great price for Hostel Floridita – rated 8.2 by recent guests! Staff were really nice and helpfull, the food was delicious and a lot to chose from. The diner and breakfast are worth the additional cost. The breakfast in Universal Florida, the support hotel, is excellent. The view from the solarium is superb. I like the staffs, very friendly and takes note of my favorites! So, they notice i usually get a white wine and just serve me white wine each time i sit on the table :) I find it very nice of them to be so thoughtful and remembers me. The breakfast is amazing, you eat breakfast at the Hotel (not in Hostel). It feels like you have all-inclusive with this buffet.and the view is stunning. Rooms are clean, provided with 2 fresh towels every day. Every room has it's own bathroom and toilet. The locker (doesn't require a lock because you get a key from the reception. The locker is big, to store a lot of stuff. The hostel in general has no problems. Also carlos at reception was very helpful. 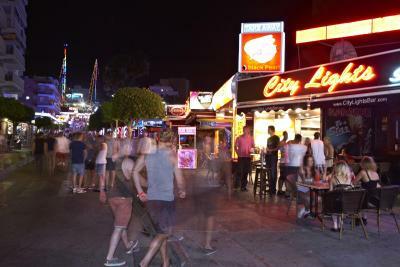 Hostel Floridita is located in a quiet area just a few minutes away from the beach and the center of Magaluf with its bars, clubs and shopping facilities. 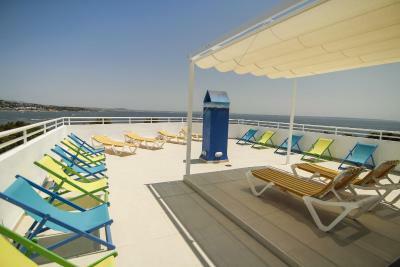 It offers free WIFI and a roof top terrace with sea view. Accommodations is in double, quadruple and dormitory rooms, all with private bathrooms. There are individual lockers. 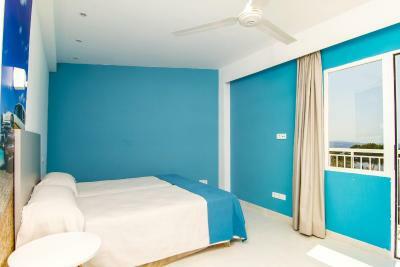 Bed linen and pillows are provided, and beds include a reading light and plug for recharging electronic devices. 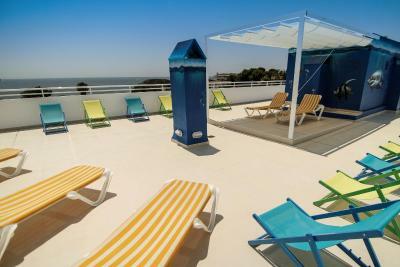 Guests have access to the pool and terrace at Universal Hotel Florida, located 650 feet from Hostel Floridita. All meals and drinks are also served there. 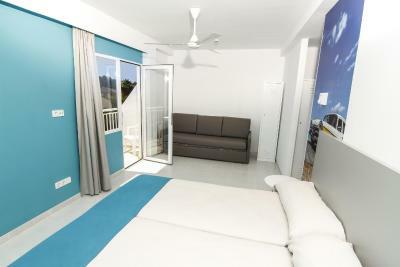 The hostel is 2,300 feet from BCM Magaluf, 1.3 mi from Aqua land and 1.5 mi from Western Water Park. 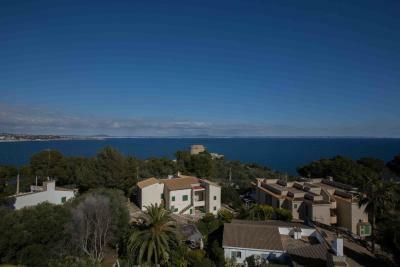 Palma de Mallorca Airport is 11 mi away. 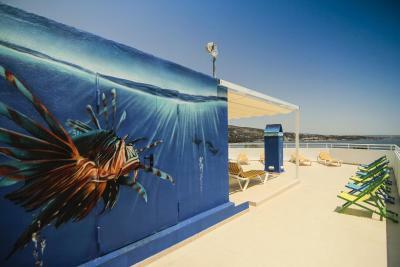 This is our guests' favorite part of Magaluf, according to independent reviews. 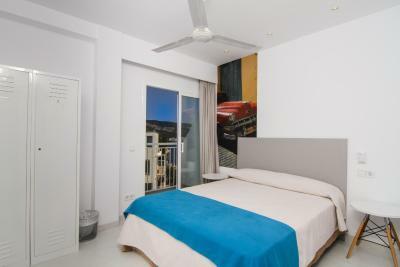 뀐 Located in the top-rated area in Magaluf, this property has an excellent location score of 8.2! 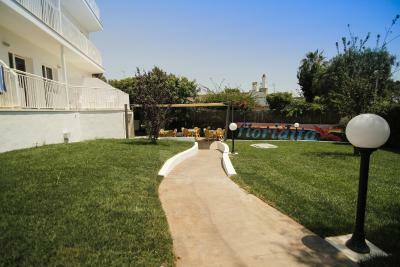 When would you like to stay at Hostel Floridita? Please note, there is a deposit of EUR 10 for the key of the locker. 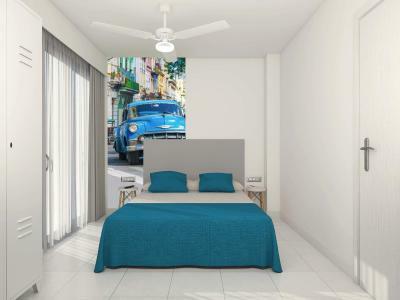 House Rules Hostel Floridita takes special requests – add in the next step! Hostel Floridita accepts these cards and reserves the right to temporarily hold an amount prior to arrival. Please note that check-in and key collection take place at: Universal Hotel Florida. Calle Torrenova, 33, Magaluf / Torrenova 07181. Its possible to swim and and use the sunbed. Also possible to eat breakfast lunch or dinner at florida hotel. The hostel is seaview nice and quiet. The room was very clean and had everything we needed. Staff were very friendly and helpful. Poor WiFi signal Beds very uncomfortable We asked for extra pillows but never got them No kettle to make a drink Bed sheets were also far too small, they didn't fit. Friendly staff at the Florida hotel! Good place. It was quiet place, but not far from bars and cafes I really like breakfast and possibility to have lunch or dinner for 9.5 EUR. Shared room is not for everyone but if you like a shared room with bunk beds, this hostel is very good. Clean room and good food. 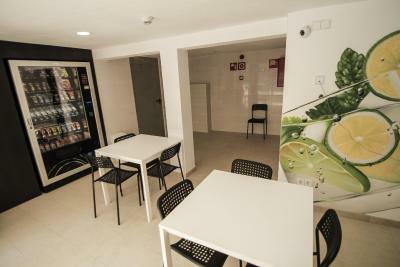 Also, the hostel has no facilities itself, all the facilities are in the hotel which is 5 minute walk. I have to say that staff at the reception are very unprofessional. First day we had to visit reception in other hotel 4 times!, because they gave us wrong shared room instead of privat one. That means, that we even can´t unpack our luggages or go to beach. We spent more than 2 hours by waiting for some solution in the room that we couldn´t use, walking to reception and back, change keys,... We didnt have that much time because we had to return rented car, so we left the hostel during this process. The absolute top was when the receptionist housed other guests in the room with our stuff! We had laptops there, cameras, money,... This is for me the worst experience in more than 100 visited hotels in about 30 countries. So far I have not received an apology from the hotel. No recommendations! Breakfest and dinner provided by Universal hotel Florida are totaly delicious. Anyway you must walk there 5 mins from the hostel. Beach is just about 10 mins from hostel, but the hotel is on hill. 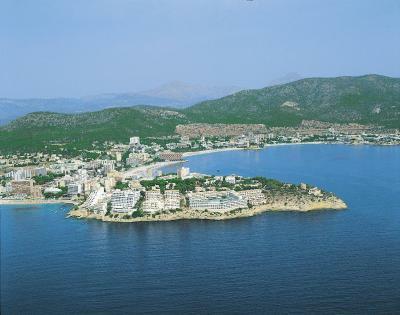 Even if you are close to center of Magaluf, there is no problem to sleep at night. Property is located on the top of the hill so you will have to walk a bit. 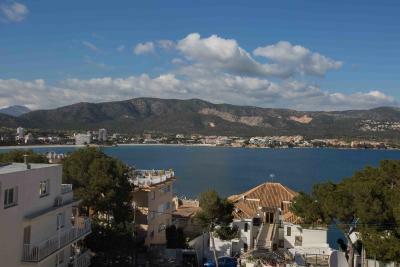 5-10 min of walk to the magaluf or palmanova beach is short, but walking back up the hill is not very nice. I was staying with my girlfriend in a private room with a private bathroom. It was small but perfect for the 5 nights we stayed. I liked that rooms were cleaned every morning, you don’t see that in every hostel. If you rent a car or a motorcycle you won’t have a problem finding a parking space, because there are a lot of free spaces around the hostel on the street. Staff was very nice and helpful so thumbs up for them. 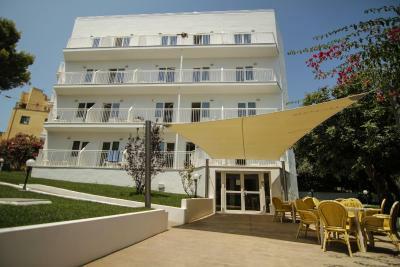 Full hotel-quality breakfast, pool, per-room-shower in a hostel with far the best price-per-bed you can imagine to find in Mallorce. Everything was great!!! 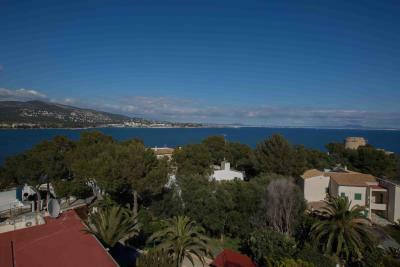 Clean rooms, view on the sea from the balcony, not far from the beach, great meal in the restaurant of the hotel, really good price for Mallorca! The reception, swimming pool and breakfast are at a hotel around 5min walk from the hostel. The beds are a little unstable, but the mattress is quite comfy. A good place to stay at if you are on a budget or just want to meet new people. The rooftop is really nice. There was no kitchen in the hostel. Just room with microwave - no plates, no cutlery, no cups. Nothing. That was quite inconvenient. I was very surprised by the lack of atmosphere - there were no people to hang out with, nobody to go for a drink and chat a bit. The hostel is in Magaluf, maybe it would be nice to organize a pub crawl from time to time. 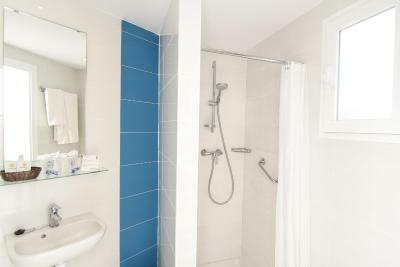 The room was clean, the bed was comfy, the locker was quite big (you pay a deposit 10 € for the key), the location was perfect and the staff was very helpful. If you have an option, take breakfast, it was really worth the price. Also, the swimming pool and private rock beach of the hotel Florida was more than awesome.